Ford wants to stop producing sedans to concentrate on SUVs and crossovers ... but does not have the models to cover the full spectrum of the market for these vehicles. Ford is especially weak in the segment of small and medium SUVs / crossovers (subcompacts, compacts, intermediates), very imposing in the market of China and Europe and, starting now, in the USA. At least 2 new small crossovers are needed to be on par with the European competitors. In the segment of intermediate SUVs/crossovers, Ford needs at least one of the size of the Edge, but with a choice of 7 seats (important for Europe and China). Ford / Lincoln also do not have a coupe-crossover (until Renault will have one next year! ), something that, especially for the luxury brand, is increasingly essential. Desperate times? Of course! Nobody at Ford previewed this SUVs/Crossover boom? Nobody at Ford planned how to grow in this segment? Of course not. So, Ford needs to put their badge on a mediocre chinese vehicle to survive in that market. Last edited by falcon lover; 08-08-2018 at 06:56 AM. Ford wants to stop producing sedans to concentrate on SUVs and crossovers ... but does not have the models to cover the full spectrum of the market for these vehicles. Ford is especially weak in the segment of small and medium SUVs / crossovers (subcompacts, compacts, intermediates), very imposing in the market of China and Europe and, starting now, in the USA. Idk, at least in the US with the Ecosport,Escape,Edge, Explorer, and Expedition they have everything from uselessly small to HUGE. We know they're adding a Bronco and a "Mini Bronco" in there, but as far as Ford in concerned I dont see much more room for additional SUV/CUV without having too many models that compete against themselves. Even Lincoln with the upcoming Aviator is only missing something Ecosport sized. Maybe in USA, where the small vehicles are less popular than in China and Europe, the SUVs/crossover line up is almost complete, but in Europe VW have the soon to be released T-Cross, the T-Roc, the Tiguan and the Tiguan All space... all in the subcompact/compact category, 4 models! . Ford have only the EcoSport and the Escape/Kuga in the same segment (or 3, if you count the Fiesta Active). And about the coupe-crossover, where is this model at the Ford/Lincoln dealers? Audi have 2 of them (Q2 and Q8), BMW have 2 (X4 and X6) Mercedes-Benz have the GLC Coupe and the GLE Coupe.... there is a big hole at the Ford/Lincoln line up of SUVs/Crossovers. About the midsize segment, the Edge is not enough. Ford (and Lincoln) needs a midsize 7 seats crossover, that could serve as the top-of-the-line for Ford Europe (replacing the slow selling S-Max and Galaxie people movers). I'm pretty sure the fad will begin to die once they're close to releasing all those vehicles. Ford will have the utility market extremely well covered in the US by 2021, even at the low-end and certainly in the Middle and High end. Sure they are very poorly positioned right now at the volume end of the market in many regions, but they will have two new B/C Segment utilities (Escape/CX430) ontop of EcoSport. New Explorer and Bronco will cover the midsize. They are finding ways of getting much greater volume in those segments by appealing to very different customers and relying less on a handful of models to cover everybody. There is another B/C-Segment Crossover & Truck (Courier) arriving around 2021 ontop of Focus Active and the NG Mondeo Crossover. We're getting a new Edge for 2023 which is a bit later that I would like. Ford is going to have to rely very heavily on JVs in China and it's interesting to see Ford putting it's name on products they didn't develop, they don't even share corporate parts (that I recognize anyway). It's been awhile since I've seen that happening at Ford but they are adapting and at least we are seeing crucial new regional products happening in China. 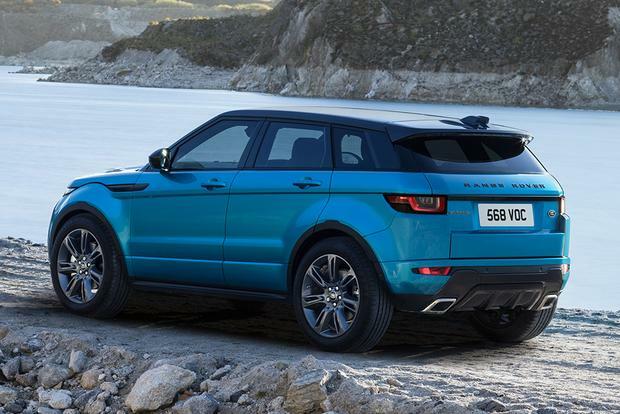 At least the Territory is a good looking riff on the Evoque, not a bad product to hang your brand on if you have to sell a cheap locally produced SUV. Ford certainly can't pull this off as cheaply as the Chinese. Last edited by Assimilator; 08-08-2018 at 09:33 PM. Ford certainly can't pull this off as cheaply as the Chinese. I'd be happier if they built a low-cost SUV out of the soon to be replaced Escape than base it on a Chinese-developed compact SUV that is unrelated to Ford, that's an all time low. I hate it when Ford says it's growing their business in Asia when in truth they only mean China. The Ford Ranger is a hit for Ford in the Southeast Asian markets, other models that help in sales is the Everest and Ecosport and that's it. Ford gave up on other key segments in the region like the C-segment SUV and the important B-segment. Not just a mediocre Chinese vehicle, but a cheap Chinese copy....yes, Ford is desperate. Shame. Last edited by Bloggin; 08-08-2018 at 11:27 PM. And by then the SUV trend will be in decline. Using the Explorer as benchmark, the first wave lasted from 2005 - 2007 before consumers changed their preference(high gas prices). 2011 is the start of the new wave that climbed all the way to 2017, with going in decline as of 2018 at -4.5% YTD(actually all Ford SUVS are in decline YTD). Fords oldest and newest SUVs are in decline YTD, which should NOT be the case if everyone wants SUVs as the media professes. Navigator has an increase, but coming from well below the bar and still may barely reach the low 2008 sales of 14,836. While in China.....for is figuring out that overpricing Ford models with higher trim levels, and depending on lower sales volume does not work in China. Which means Fords has to follow the leaders, that gain profits on higher volume and lower prices. Yall giving Ford a lot of crap for this, but it makes perfect sense. There is no way they could compete in the pricepoint that this vehicle is in without significant investment, enough that it would make sense. So work with a Chinese partner to have a low priced CUV for China without costing themselves an arm and a leg. Thats the kind of thing shareholders look at.